Andrew Lloyd Webber at the set of "How do you solve a problem like Maria?" Andrew Lloyd Webber is a revered English composer known for his musical compositions such as The Likes of Us, Jesus Christ Superstar, Evita and The Phantom of the Opera. He is widely considered as the most successful composer of his generation. In 1992, Webber was awarded a knighthood and a peerage by Queen Elizabeth II for his extraordinary contribution to music. In addition to having a star on the Hollywood Walk of Fame and being inducted into the Songwriter’s Hall of Fame, his musical compositions gained him several Tony Awards, Grammy Awards, Ivor Novello Awards, Oliver Awards among others. He married his first wife Sarah Hugil in 1972 and they had two children together before divorcing in 1983. He married singer Sarah Brightman in 1984; the marriage ended in divorce in 1990. 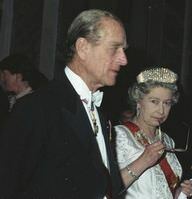 His third marriage was to Madeleine Gurdon in 1991. The marriage produced three children. He was ranked the 87th richest man in Britain on Sunday Times Rich List 2006. 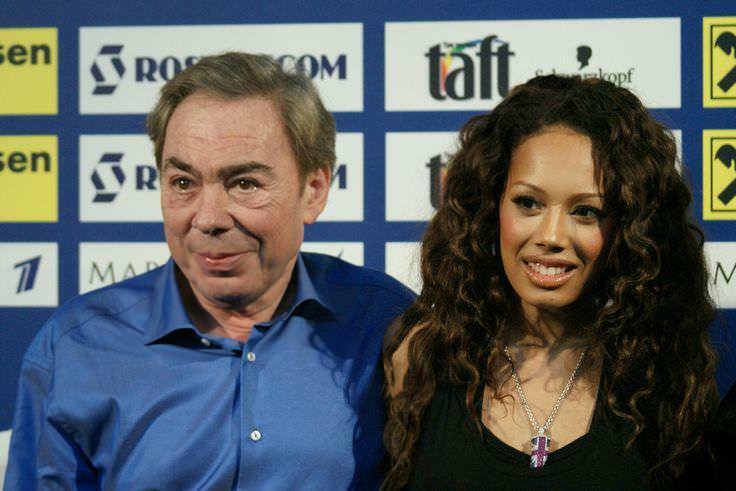 Andrew Lloyd Webber and Jade Ewen. Andrew Lloyd Webber is a famous English composer, who was born on March 22, 1948. As a person born on this date, Andrew Lloyd Webber is listed in our database as the 3rd most popular celebrity for the day (March 22) and the 22nd most popular for the year (1948). People born on March 22 fall under the Zodiac sign of Aries, the Ram. Andrew Lloyd Webber is the 211th most popular Aries. Aside from information specific to Andrew Lloyd Webber's birthday, Andrew Lloyd Webber is the 207th most famous English and ranks 7th in famous people born in Kensington, London, England, UK. In general, Andrew Lloyd Webber ranks as the 2261st most popular famous person, and the 7th most popular songwriter / composer of all time. “The Famous Birthdays” catalogs over 25,000 famous people, everyone from actors to singers to scientists to serial killers and more. If you're curious to see who was born on your birthday, you can use our database to find out who, what, where, when and why. You can search by birthday, birthplace, claim to fame or any other information by typing in the search box, or simply browse our site by selecting the month, the day, the horoscope, or any other clickable option.